Our first response to the call for photos of molecular ecology in action. 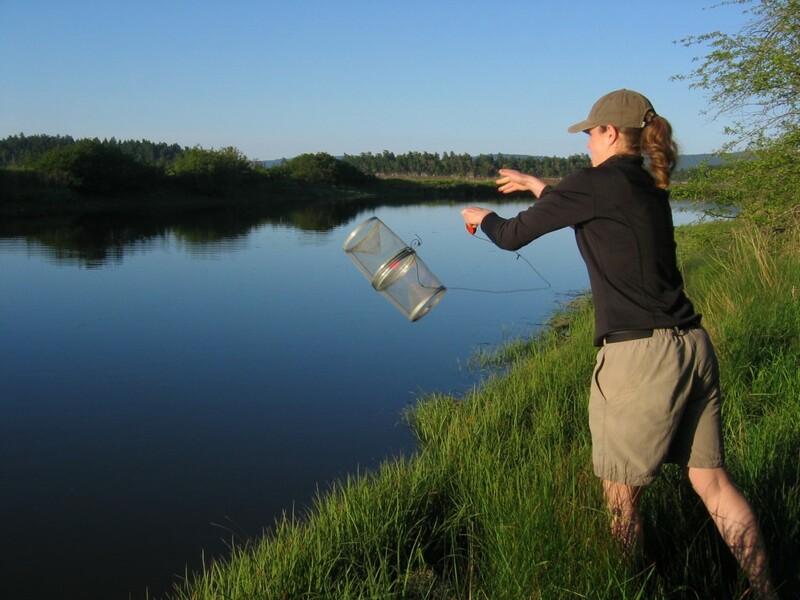 Anne Dalziel places a minnow trap for stickleback collection. Photo courtesy Simone Des Roches. 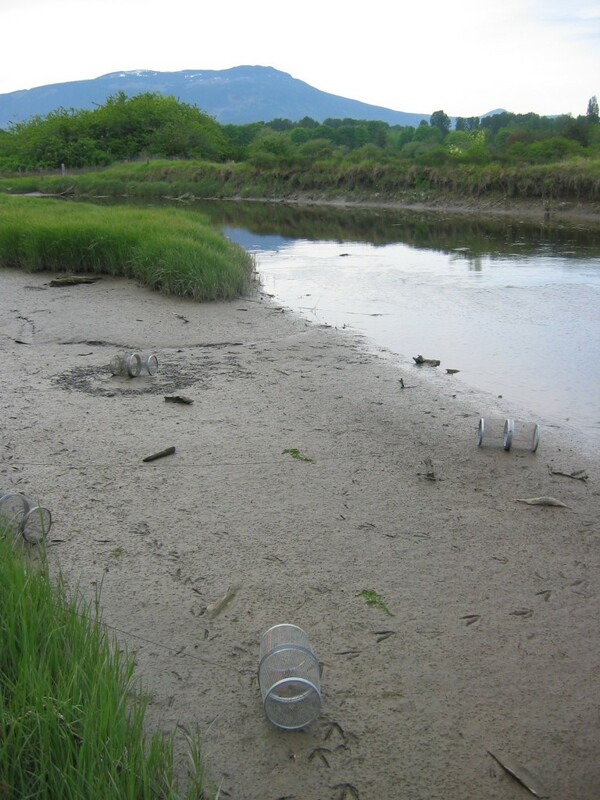 And what happens if those traps aren’t placed carefully in a tidal zone? Water bird tracks around stranded traps. Photo courtesy Simone Des Roches. This entry was posted in Molecular Ecology views. Bookmark the permalink.